your copy today. Don't miss out! There are 24 copies of the CHS Yearbook available for purchase at $45 each. Cash/Check. 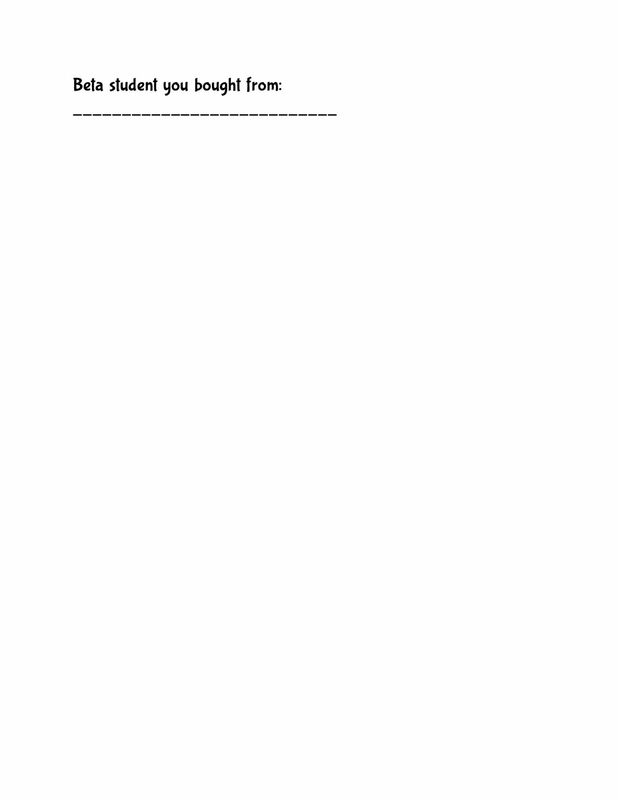 Payment in full reserves your copy. or to purchase a book from the past. 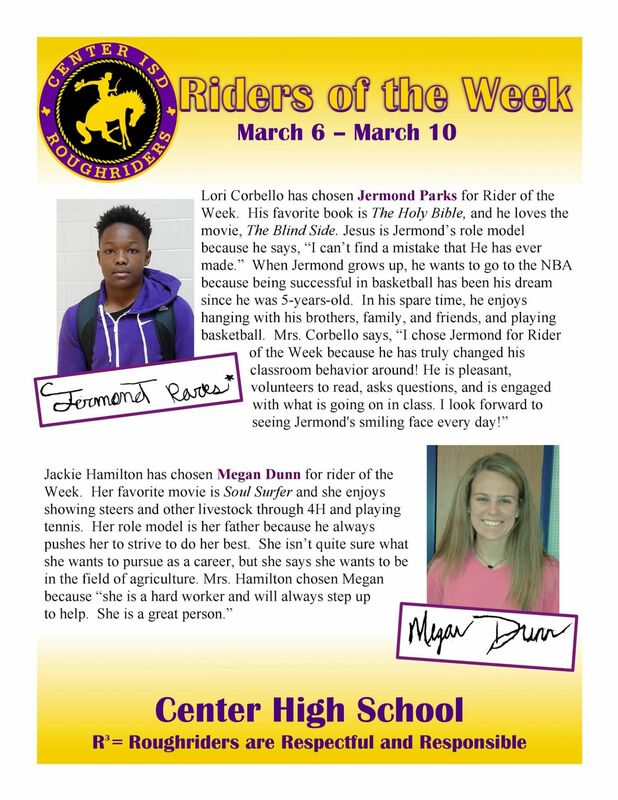 The Center Roughriders baseball team has an away game vs. Henderson Lions on Friday at 7pm. The Joaquin Rams baseball team has an away game at Tenaha vs. the Tigers on Friday, at 4:30 pm. The Shelbyville Dragons baseball team has an away game at Gary vs. the Bobcats on Friday, 6 pm. The Timpson Bears baseball team has an away game at Martinsville vs. the pirates on Friday, at 6 pm. The San Augustine Wolves baseball team has an away conference game at Chester vs. the yellow jackes on Friday, at 4pm. SFA’s Office of Multicultural Affairs will kick off its annual Diversity Week Monday, April 3. The week will feature social and educational programs demonstrating the value of diversity and multiculturalism and creating meaningful dialogue in the SFA community. The Diversity Week kickoff event will take place from 11 a.m. to 2 p.m. Monday, April 3, in the Baker Pattillo Student Center Plaza and will feature a diversity canvas, where students are encouraged to help paint a mural showcasing SFA’s diversity. Chrisco Bragg, President, called the meeting to order at 6:00 p.m.
by Bill Mason, Jr., and the Pledge of Allegiance to the Texas Flag was led by Tam Hearnsberger. Policy Manual Update 107 (see attached). Following discussion, a vote was taken on the motion. Course Agreement for 17-18 School Year (attached). Following discussion, a vote was taken on the motion. It carried unanimously. named plaintiff, which is being brought against Mike Morath, in his official capacity as Commissioner of the Texas Education Agency’s interpretation of the rule regarding Local Option Homestead Exemptions. Joaquin’s participation in this lawsuit will come at no cost to the district and all cost associated with the lawsuit shall be paid by the Equity Center on Joaquin’s behalf. Following discussion, a vote was taken on the motion. It carried unanimously. recommendation to hire John Jones on a probationary contract as a teacher/coach subject to assignment. Following discussion, a vote was taken on the motion. It carried unanimously. 7.2.4 No action was taken, suggestions on goals where collected and sent to school attorney to write. – April 17, 2017 at 6:00 p.m.
10 With no further business on the agenda the meeting was adjourned at 8:32 p.m. The Steel Band at Stephen F. Austin State University will present “Blasts From the Past” when the ensemble performs at 6 p.m. Wednesday, April 26, in Cole Concert Hall on the SFA campus. Featuring arrangements of songs from the 1960s through 2016, “Blasts From the Past” will showcase the music of The Spice Girls, Tom Petty, Twenty One Pilots, Adele, One Direction, Santana, The Beatles, Cyndi Lauper, Aqua and other popular artists. Hunting ages are 12 years and under! Hunt begins at 10 a.m.
Easter Bunny will be there for pictures with the whole family! Tenaha Precinct 4 Constable will have booths. 936-254-4648 if you would like to help. Timpson High School will present a Career Camp Thursday March 30 at the community house at So So Park beginning at 8:30. Students will learn about a variety of careers opportunities from local and area businesses, state agencies and the Army. Attached is schedule of the presentations for Career Day. The Senior Class of CHS is having a BBQ Fundraiser which will benefit the senior trip to Pine Cove Youth Camp. Orders will be delivered around 10 a.m.
Drive-up orders will be available from 11:00 to 12:00 until sold out. The Swingin’ Axes and Swingin’ Aces jazz bands at Stephen F. Austin State University will present a diverse program when they perform at 7:30 p.m. Friday, April 21, in Cole Concert Hall on the SFA campus. A highlight of the evening will be an appearance by New York recording artist and composer Jose Davila, who will perform jazz trombone, euphonium and sousaphone with the Swingin’ Axes. The program will feature the music of Count Basie, Denis DiBlasio, Thelonius Monk and other jazz greats. Concert tickets are $8 for adults, $6 for seniors and $3 for students and youth. For tickets or more information, call the SFA Fine Arts Box Office at (936) 468-6407 or (888) 240-ARTS or visit www.finearts.sfasu.edu. The Faculty Recognition Luncheon will begin at 12:15 p.m. Tuesday, April 25, in the Baker Pattillo Student Center Grand Ballroom. This annual luncheon recognizes faculty members who are completing 10, 20 or 30 years of service at SFA, as well as faculty members who have announced their retirement. The luncheon will be preceded by a reception starting at 11:45 a.m. Formal invitations will be sent soon. Faculty members are asked to RSVP. 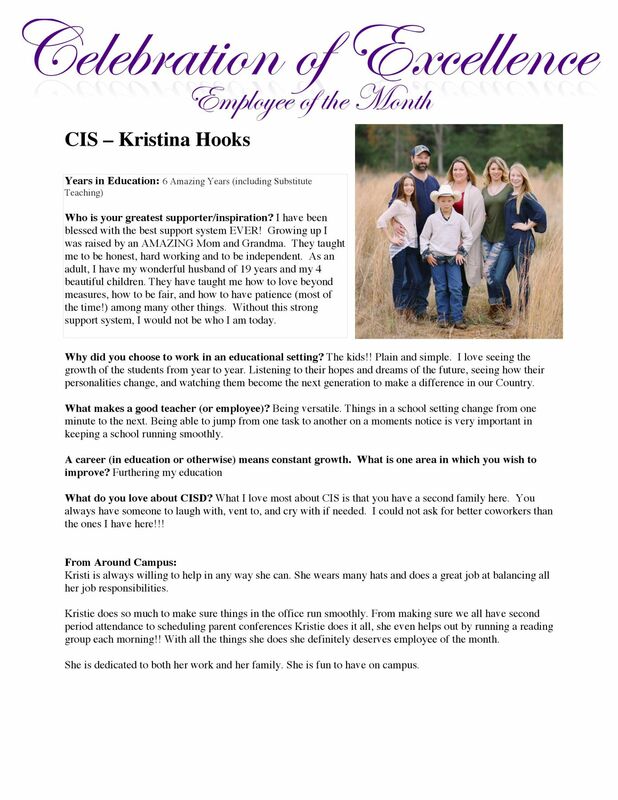 Click here to view the honoree list. For more information or to report an error or omission, contact Bob Szafran, professor of sociology, at (936) 468-2009 or rszafran@sfasu.edu. SFA junior Blake Stock shot a 6-under 138 during the opening two rounds of the 2017 University of Arkansas at Little Rock First Tee Classic yesterday, placing him at the top of the leader board this morning. 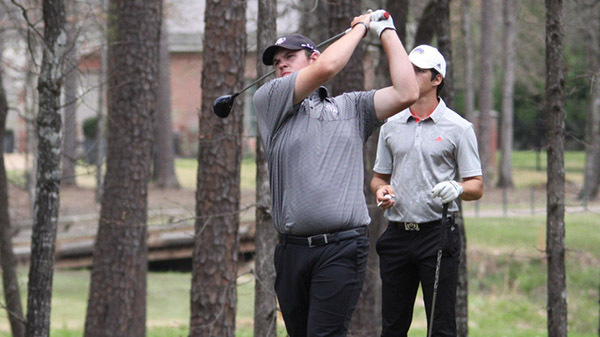 Stock helped pace SFA’s men’s golf team to a second-place showing after 36 holes, posting a 4-under 572 in Little Rock at the Chenal Country Club. Coming off his 6-under 65 performance in the final round of the Bob Sitton Invitational, Stock registered two more sub-par rounds yesterday, posting a 2-under 70 in round one, followed by a 4-under 68 in round two. He birdied five of his final seven holes in round one, and then registered four birdies and 14 pars in round two. SFA’s softball team is traveling east for a matchup against Louisiana Tech University beginning at 5 p.m. today at the Lady Techsters Softball Complex in Ruston, Louisiana. The Ladyjacks, now 10-20 on the season, aim to continue their momentum from the walk-off victory against undefeated Lamar University last week. 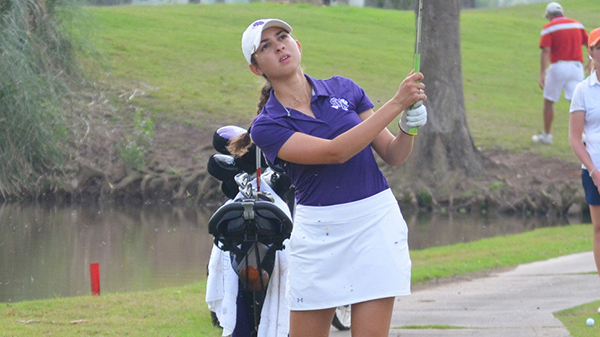 Two Ladyjacks sit among the individual top-20 today as SFA’s women’s golf team is tied for sixth after the opening two rounds of the Houston Baptist University Husky Invitational in Sugar Land. The Ladyjacks carded a 52-over 628 during the opening 36 holes, highlighted by a 22-over 310 in round two. 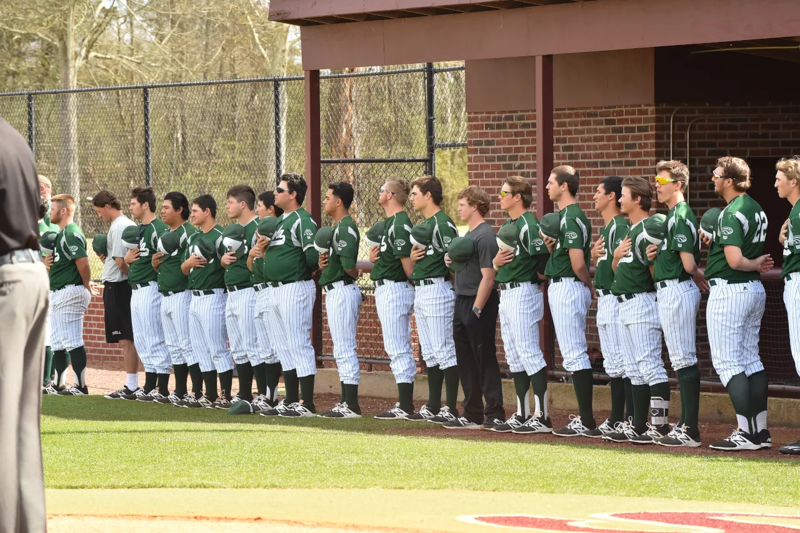 The Panola College baseball program moves up this week in the national rankings to #8. Rising four spots from the last Tuesday’s rankings at #12, The Ponies went 4-0 last week and improved to 28-5 on the season and 9-3 in conference. The Ponies will be at home Thursday, April 1st for game one of a three game conference series with Navarro College beginning at 1pm. ceremony at 3 p.m., Monday, April 10 in the Q.M. Martin Auditorium. Dr.
Vocal Music Professor, will perform prior to the awards ceremony. family and fellow students to attend. 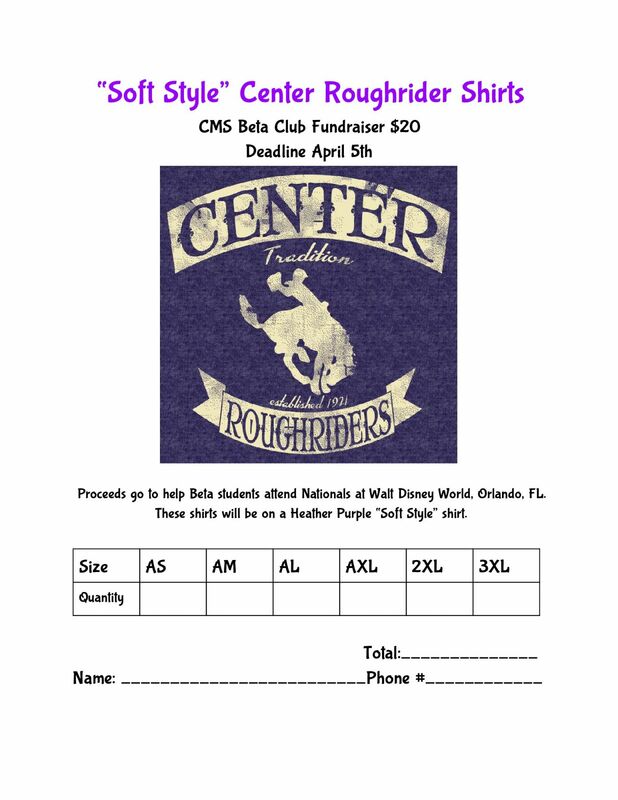 Center Rough Riders Baseball defeated the Tatum Eagles last night 9 -5 and they are getting ready to take on the Henderson Lions in an away game this Friday at 7 pm. The Joaquin Rams baseball team has an away game vs. Tenaha Tigers this Friday at 4:30 pm. The Shelbyville Dragons baseball team has an away game at Gary this Friday at 6 pm. The Shelbyville Dragons softball team has a home game vs. Martinsville Pirates on Friday at 5 pm. Well Tenaha lost last nights baseball game against Timpson 5 -10. But the will have a chance to turn things around this Friday when they take on the Joaquin Rams in a home game at 4:30 pm. Timpson baseball team defeated the Tenaha Tigers last night 10-5. The Timpson Bears softball team has a home game vs. Cushing on Friday 4 pm. The San Augustine Wolves baseball team have an away game vs. Chester Yellow jackets on Friday at 4 pm. San Augustine Band is having a Chocolate Fundraiser and will see until it's ALL gone! See a member of the band to get your chocolate! 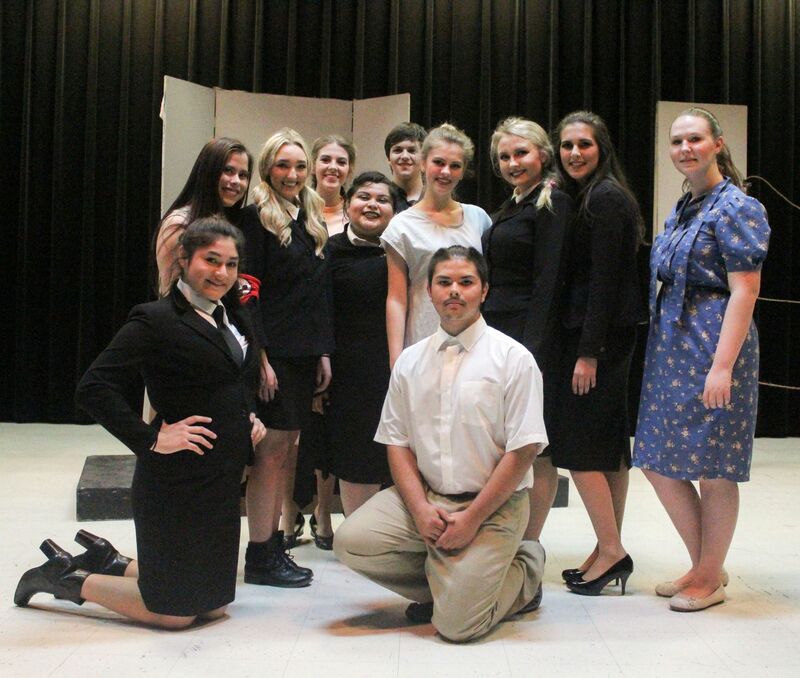 Shelbyville High School competed in the District 22AA Academic UIL Spring Meet held at SFA on March 22nd. 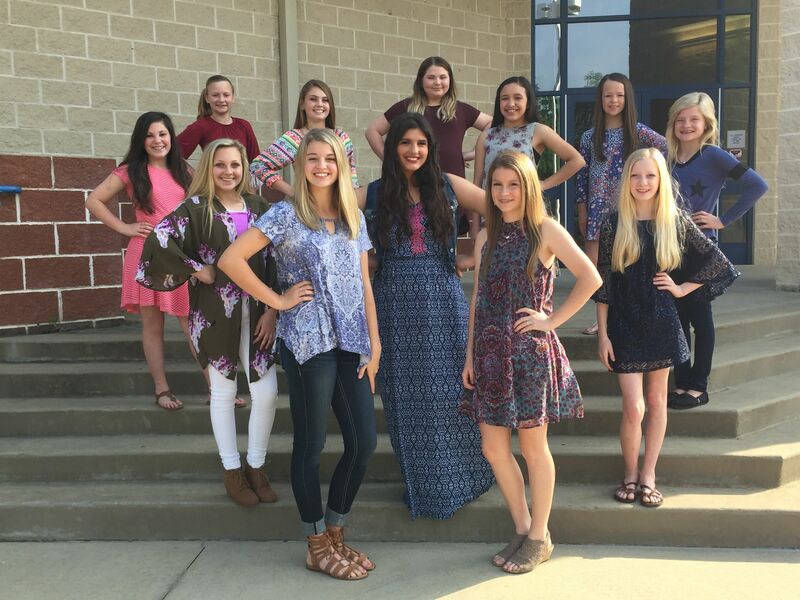 Shelbyville competitors scored points in eighteen events and qualified students in fourteen events for the Region III-AA Academic UIL Meet. Hannah Nicosia, Perla Caporali, Christian Schilder, Kurtrick Allen, Hannah Jamison, Samantha Ferrebee, Raylen Black, Logan Hernandez, Angel Hubble, Tori Gilchrist, Logan Vickers, Madison Taylor, Jasmine Osby, Jake Bragg, Kyle Dodd, Ty Fox and Kaitlin Campbell will attend the 2017 Region III-AA Academic Regional Spring Meet at Panola College on April 7th and 8th. Shelbyville Academic UIL coaches who will be attending the regional meet are: Brooke Harrison (Science), Claire Windham (Ready Writing, Editorial Writing, Feature Writing, News Writing, Headline Writing), Cole Harrison (Number Sense), Emily Sowell (Informative Speaking, Persuasive Speaking, Lincoln-Douglas Debate, Literary Criticism), Jeane Taylor (Prose Interpretation), Crystal Harrison (Mathematics) and Mario Osby (Computer Applications). The Center Roughriders baseball team has a home game vs. Tatum Eagles tonight @ 7pm. The Center Roughriders softball team has a home game vs. Tatum today. pm in Mustang Stadium at Madisonville High School. The Timpson Bears baseball team has a home game vs. Tenaha Tigers tonight @ 6pm. The Timpson Bears softball team has a home game vs. Wells Pirates today @ 5pm. The Joaquin Rams baseball team has a home game vs. Mt. Enterprise Wildcats today @ 6pm. The Shelbyville Dragons baseball team has an away game vs. Gary Bobcats on Friday, March 31 @ 6pm. The Shelbyville Dragons softball team has an away game vs. Chireno Owls today @ 5pm. The San Augustine Wolves baseball team has an away game vs. Chester Yellow Jackets on Friday @ 4pm. ------------------- Baseball vs. Tenaha – Home @ 6:00 p.m.
------------------- Softball vs. Wells – Home @ 4:00 p.m.
----------------- Baseball vs. Martinsville – There @ 6:00 p.m.
----------------- Softball vs. Cushing – Home @ 5:00 p.m.
SFA’s Office of Multicultural Affairs will host Diversity Week with four events that promote cultural awareness beginning Monday, April 3. Events will include the Diversity Week Kickoff from 11 a.m. to 2 p.m. Monday, April 3, in the Baker Pattillo Student Center Plaza, followed by Peace Meal with guest speaker Hoan Do, student success coach and author of “Succeeding in the Real World,” at 6 p.m. Tuesday, April 4, at The Yellow House, located at 201 E. College St.
A Microaggressions Workshop will be held at 6 p.m. Wednesday, April 5, followed by Salsa Magic from 6 to 9 p.m. Thursday, April 6, also in the Baker Pattillo Student Center Plaza. For more information, contact the OMA at (936) 468-1073. The Women's and Gender Studies Academic Conference will be held from 10 a.m. to 2 p.m. tomorrow in the Social Work Building, Room 201. Students will present and discuss research projects related to gender studies. The conference is open to the public, and faculty members and students are encouraged to attend. Elementary Robotics 1st - 3rd grades. Stacie Barr, Coach. Kawon McCowin placed second at the State powerlifting meet held in Abilene, TX this weekend. He had a total weight of 1610. He was tied for 3rd after the squat where he did 650. After benching 385 he was second going into the dead lift. He would finish the meet in 2nd Place after his 575 dead lift. Kawon was ranked 7th coming into the meet. All of Kawon's final lifts were personal best for him. The Lil' Center Riders 12u Major basketball team would like to announce their win in Teague, Tx this past weekend. The Riders defeated Groesbeck & Mexia and are the 2017 Regional Champions! 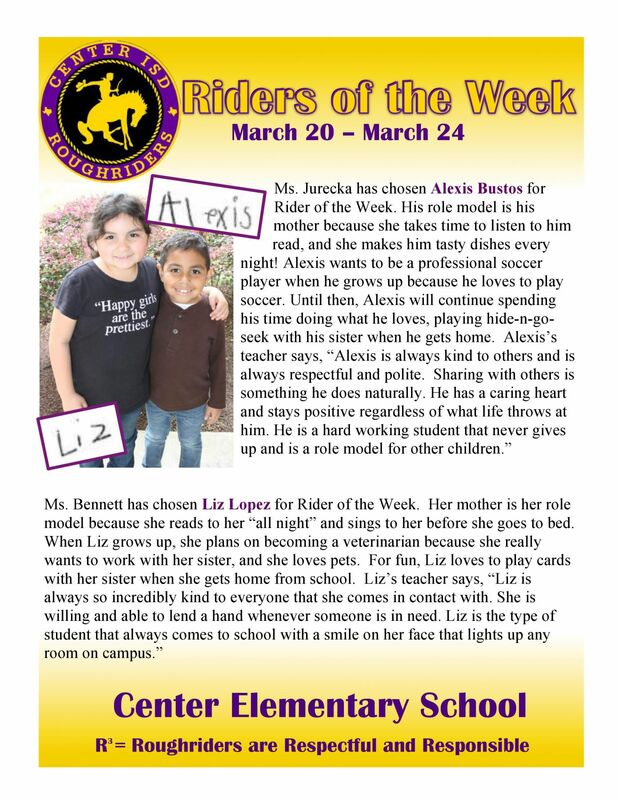 The Lil' Riders will compete for the National title in Canton, Tx on April 19-22nd. Thank you so much, again, to everyone who donated to our fundraiser to make it happen! 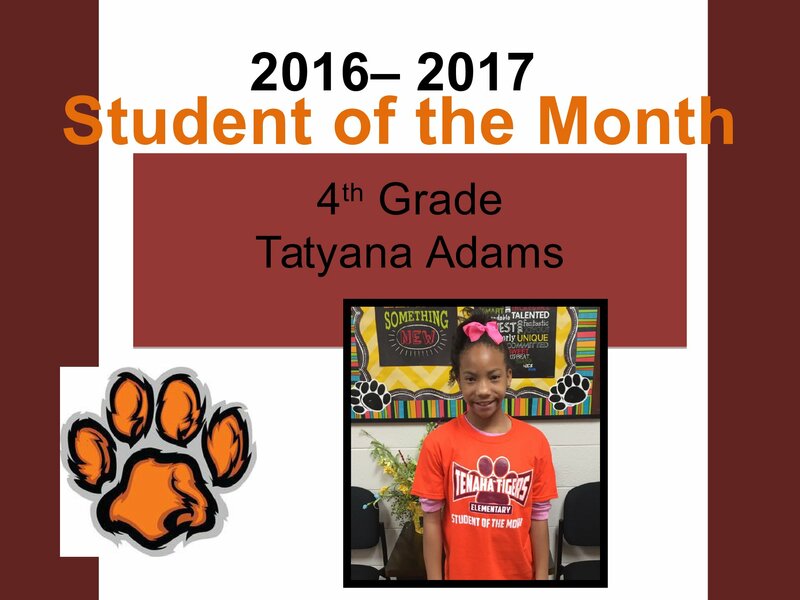 Thereâ€™s an Epidemic at Tenaha ISDâ€¦ Khan Academy is CONTAGIOUS!!! 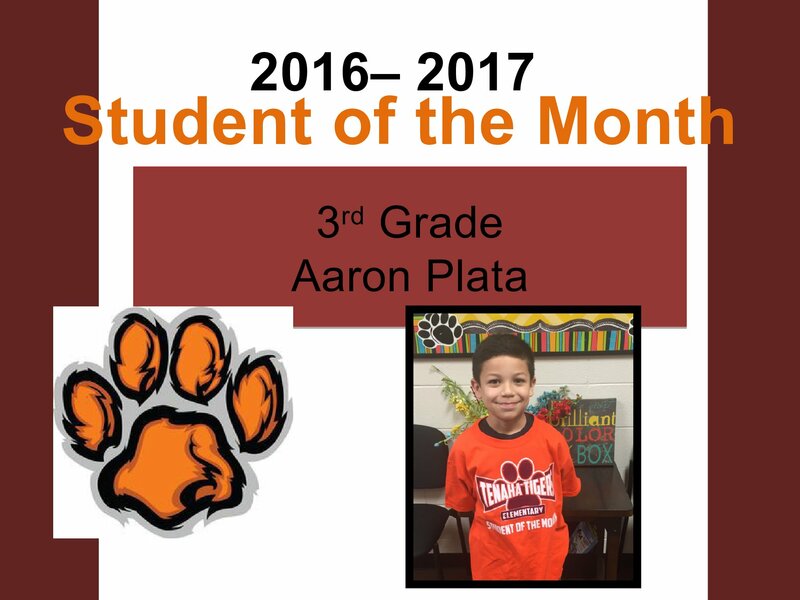 What started as an 8th Grade monthly contest has spread faster than the FLU! Thank goodness… it’s much more fun and rewarding, also! 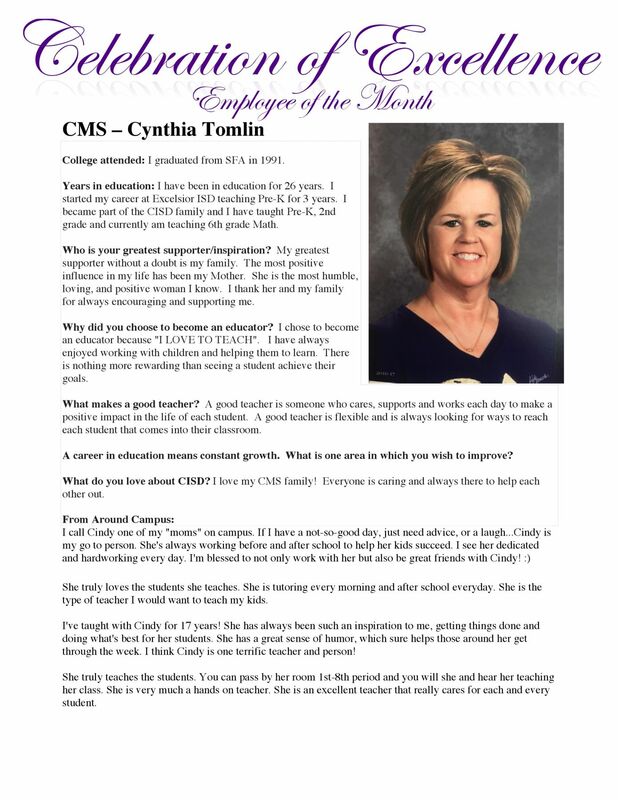 Contests were held for the February to March time period for 6th, 7th and 8th graders in Coach Ball’s, Mrs. Farmer’s and Mrs. Wiist’s classes as well as Tiger Tutorial groups and Math Enrichment sections. 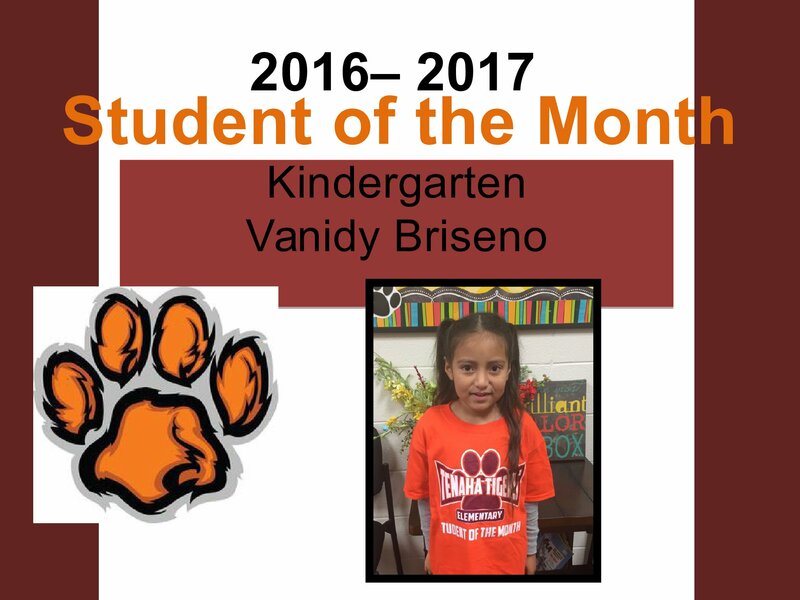 We are SO proud of our student progress and enthusiasm! 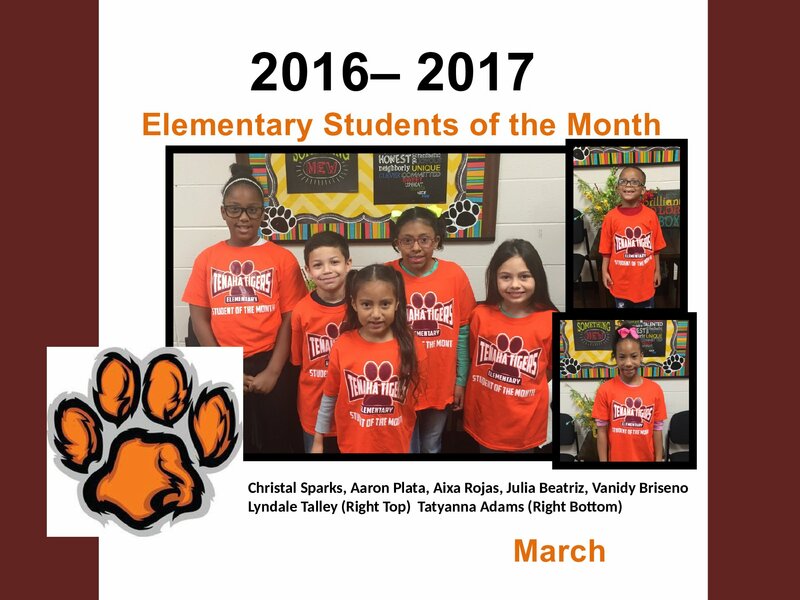 Points only count for grade level material and are date ranged for each contest period, so each student has the same chance each month to earn new points for that contest period. Coach Ball’s 6th grade winner is Emily Richardson with 22,282 points. 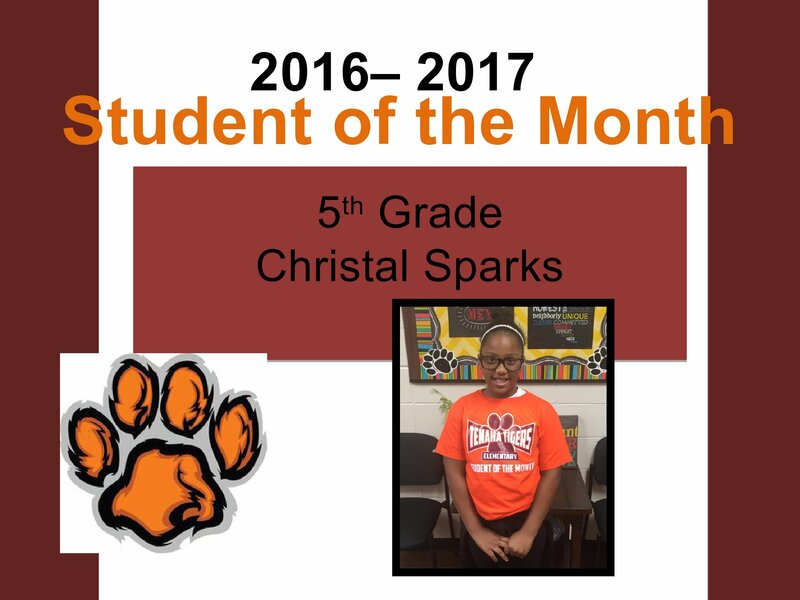 Mrs. Farmer’s 6th Grade winner is Kassidy Walters with an IMPRESSIVE 87,625 points! 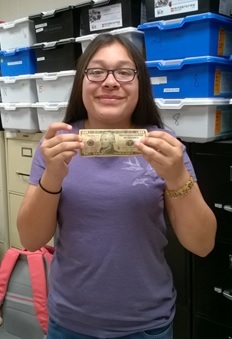 The 7th Grade winner for Mrs. Farmer’s classes is Sarahi Flores with another outstanding point total of 76,684 points. 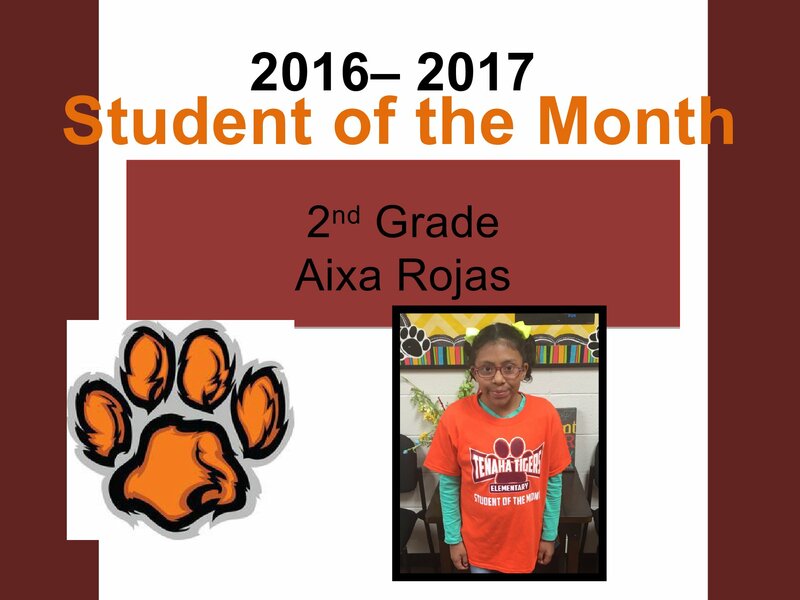 Mrs. Wiist’s 7th Grade Tiger Tutorial winner is Alexis Plata with 25,482 points. 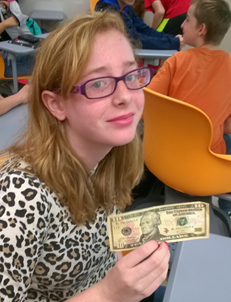 The 8th grade winner this month was Kali Randal with 8,782 points. 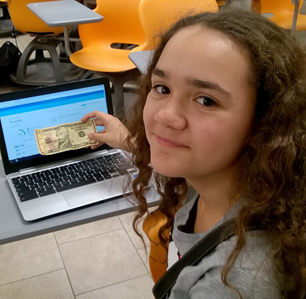 Please keep encouraging these kids to continue with their progress on Khan Academy. Remember that Khan Academy is an adaptive online program that is completely self-paced. 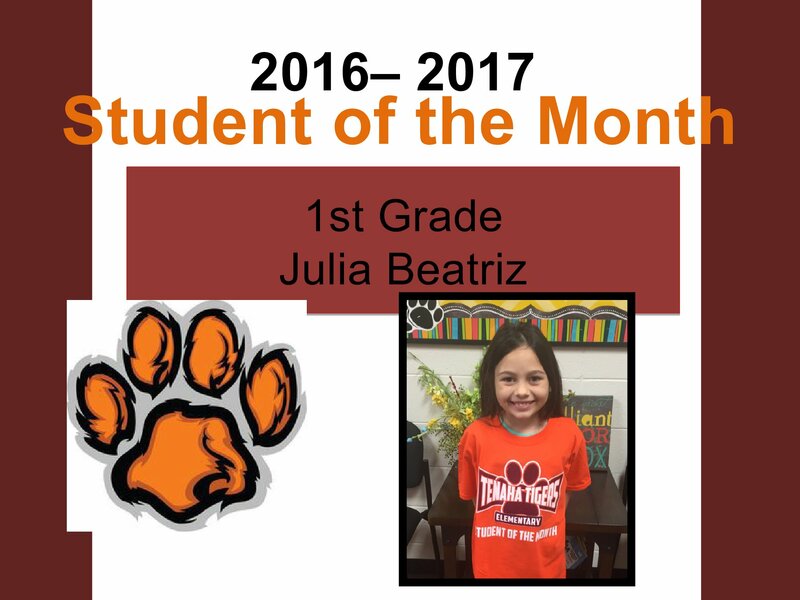 It adapts to each student’s aptitude as they advance through each grade level concept. 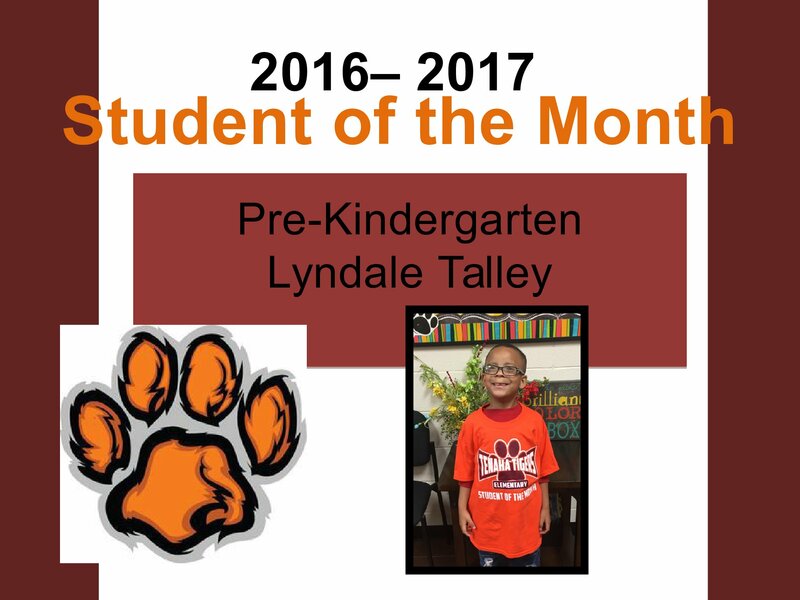 Students can even move ahead to their next grade level when their current goal is reached. Khan Academy is available as an app on most smartphones and tablets, as well as online availability through any computer or laptop connected to the internet. Students can work on it at home or at school. Stay tuned… for next month’s WINNERS! The CHS students after they performed the play "Dark Road" last night. Joaquin ISD will hold a public hearing in accordance with Texas Education Code 12A.001 to discuss the District’s plan to become a District of Innovation (DOI) during its’ regular March 27th board meeting at 6:00 p.m. in the Joaquin Board Room. 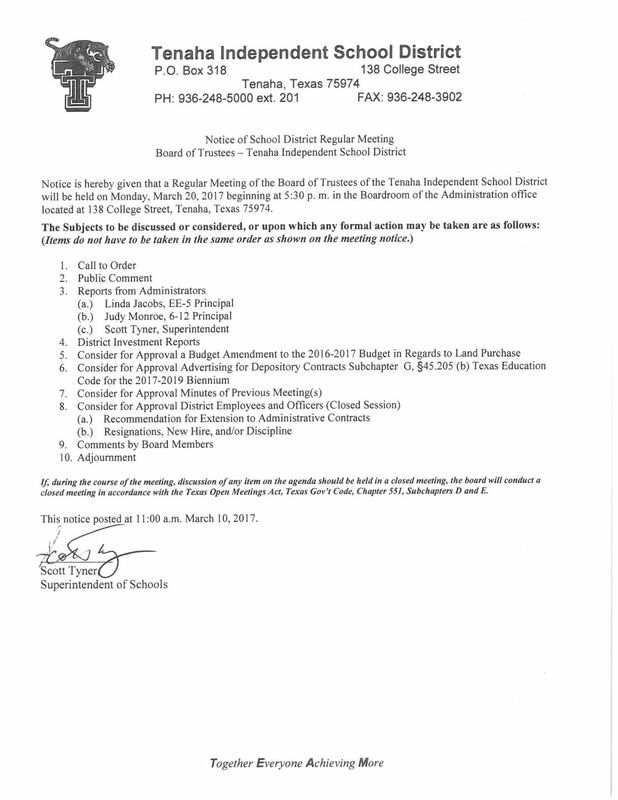 Notice is hereby given that on the 27th day of March, 2017 the Board of Trustees of the Joaquin School District will hold a regular meeting at 6:00 p.m., at the Administration building, Joaquin, Texas. STAAR/EOC Testing – TISD students will take important STAAR and End of Course (EOC) tests Tuesday, March 28 through Friday, March 31. It is important that students are well rested and have eaten a nutritious breakfast on these testing days. All make-up sessions for STAAR assessments scheduled to be administered from March 28-30, 2017 by the end of this day. The regularly scheduled Shelbyville Band Booster Meeting has been canceled due to a conflict with the Athletic's Booster meeting. The next Band Booster Meeting will be April 24th. Due to inclement weather, both Baseball and Softball will begin play today at 4:00. Varsity only. Gate opens at 3:30. The Center Roughriders baseball team has a home game vs. Rusk today at 4pm. If it is held at all due to rain it could be cancelled. The Timpson Bears baseball team has an away game at Mt. Enterprise today at 6pm. The Timpson Bears softball team has an away game at Douglass today at 3:30pm. The Tenaha Tigers baseball team has a home game vs. Shelbyville today at 4:30pm. The Joaquin Rams baseball team has a home game vs. Woden Eagles today at 6pm. The Joaquin Rams softball team has a home game vs. Gary today @ 5pm. The Shelbyville Dragons softball team has an away game at Burkeville today at 4pm. CMS Beta Dance will be Friday at CHS Cafetorium, from 7:00 PM until 10:00 PM. and will be on sale at the door. CES will host a blood drive on Thursday, March 30, from 11 a.m. to 4 p.m.
the most sponsors will win a pizza party! Mark your calendars and don't forget: "Give so that others may live." Janet Stewart and Ben Smith with the Texas A & M AgriLife Extension Services presented the Watch UR BAC Program Wednesday, March 22 at the Tenaha High School campus. This program promotes alcohol awareness, the dangers of impaired driving, and friends watching out for friends. Tenaha Juniors and Seniors were educated on the laws regarding possession of alcohol and drinking and driving. 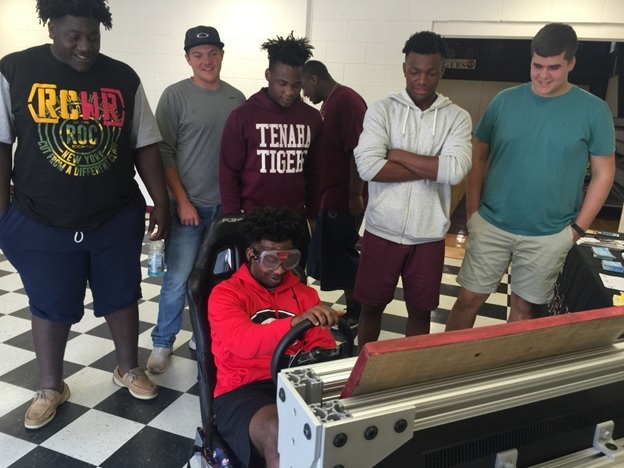 The students were able to participate in an interactive driving simulator and peddle car. Students learned that the legal limit for intoxication is .08 BAC (blood or breath alcohol concentration), but impaired drivers can be stopped and arrested regardless of BAC. Also, it is illegal for anyone to have an open container of alcohol inside a vehicle. Tenaha ISD would like to thank the Texas A & M AgriLife Extension Services for making this program available to Shelby County schools. Kindergartener to Lufkin Dinosaur Museum; HS Wildcat Relays in Mt. impaired driving, and friends watching out for friends. an interactive driving simulator and peddle car. their UIL concert and sight reading performances to be held in late April. maximize the performances of the Tiger Bands. 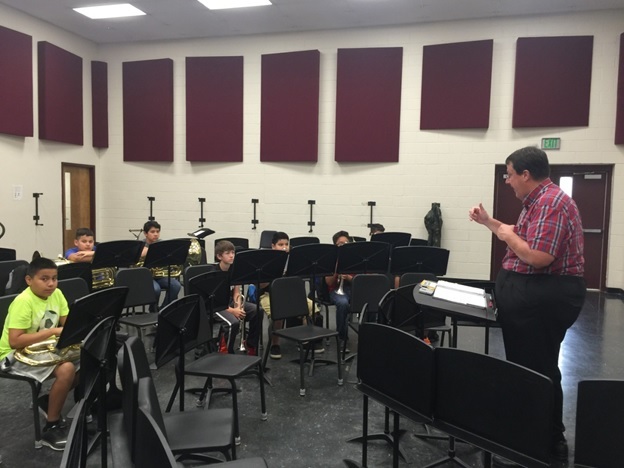 Mr. Dale Stelzer, a retired band director from Lubbock-Cooper Middle School, has been helping the Tenaha Tiger band program put the finishing touches on their UIL concert and sight reading performances to be held in late April. Having another band director “lend an ear” to critique and identify possible down falls in performance is beneficial to the success of the Tenaha band program. Mr. Sours, Tenaha Band Director, uses every resource available to maximize the performances of the Tiger Bands. 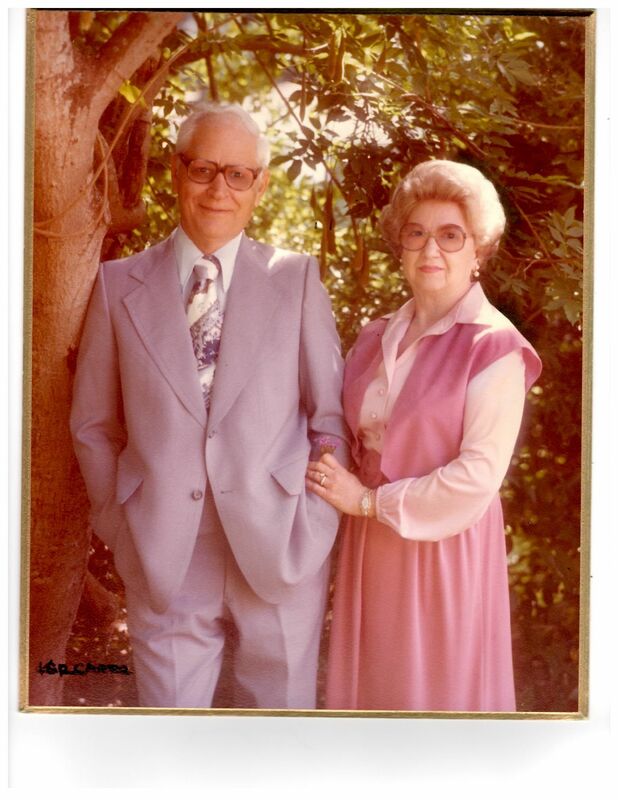 Virginia Pace Lyle and Rebecca Pace Parce in memory of John E. and Reba C.
Carthage in 1937 where he owned and operated Pace Hardware until 1974.
land, timber, and cattle on his farms and found his solace there. a longtime member of the Carthage Book Club. selection of the recipient will be made in the spring each year. All-District Lady Bears – Congratulations to the Timpson High School Lady Bears who were named to the All-District basketball team! Brylee Behrens is the Co-Newcomer of the Year. First Team All-District are Jasmine Rogers and J’Karia Deckard. Second Team All-District is Sara Duke. Honorable Mention All-District are McKenzie Burgay and Ashton Harris. Texas Girls’ Coaches Association named THS freshman Brylee Behrens to the All-State Team. Congratulations to these outstanding Lady Bears!! 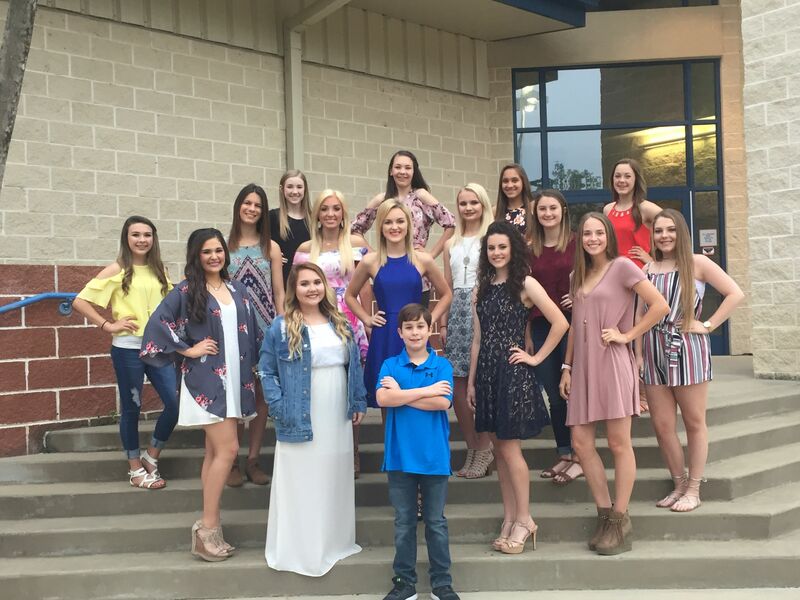 An All-District photo will be in next week’s Bear Update. THS FCCLA Project - Recently The Timpson High School Family and Community Services class in conjunction with FCCLA conducted a survey of licensed drivers as part of the Teens in the Driver Seat program. The results are being posted to encourage the students’ peers and parents to discuss the dangers of distracted driving. Mrs. Danielle Smith is the FCCLA sponsor. THS Project Graduation - The Timpson High School senior parents are organizing Project Graduation that will be after graduation and provide a safe and fun place for seniors to spend time with their friends and they celebrate this important milestone. Attached is more information about this event. A special meeting of the Board of Trustees of Center Independent School District (CISD) was held on Tuesday, March 21, 2017 beginning at 11:30 a.m. at Center Independent School District Administration Board Room located at located at 107 Private Road 605 in Center, Texas 75935. James Greer called the meeting to order at 11:30 a.m. and declared a quorum. A motion was made by Allison Johnson, seconded by Daphne LaRock to approve the resolution to consider designation as a District of Innovation for Center Independent School District. The Board of Trustees conducted a public hearing on the District of Innovation opportunity at Center ISD. John Henry Holloway made a motion, seconded by Matthew Mettauer to appoint Kurt Radnitzer, Liz Rowlett, Stephanie Fults, Shelly Norvell, Amber Mathews, Amanda Radney, Heath Hagler, Lee Ann Masterson, Danielle Emmerling, Jake Henson, Sommer Herndon, Kathy Massey, Matthew Gregory, Chris Draper, Jennifer Fausett, Tammy Lemoine, Ben Wulf, Jerry Pinkston, Allison Schull, Latrisa Barkins and Mayra Solis to a Committee to develop a District of Innovation Plan. A motion was made by Traci Willoughby, seconded by John Henry Holloway to adjourn the meeting at 12:02 p.m.
A regular meeting of the Board of Trustees of Center Independent School District (CISD) was held on Tuesday, March 21, 2017 beginning at 12:00 p.m. at Center Independent School District Administration Board Room located at located at 107 Private Road 605 in Center, Texas 75935. James Greer called the meeting to order at 12:03 p.m. and declared a quorum. John Henry Holloway gave the invocation and James Greer led the Pledges of Allegiance. Cindy Clegg presented the results from the District’s employee compensation and benefits review. Further discussion and review will take place during the course of preparing for the 2017-2018 school year. A motion was made by John Henry Holloway, seconded by Traci Willoughby to approve the consent agenda consisting of the minutes from the regular meeting on February 21, 2017 and a special meeting on February 27, 2017, Investment Report (February 2017); Tax Collection Report (February 2017); Financial Reports (February 2017); payment approvals over $50,000; Overnight Student Activity Trips, Waiver Days for 2017-2020, Instructional Materials Allotment and TEKS Certification and Authorize Administration to Solicit Request for Proposals for Bank Depository 2017-2018. Matthew Mettauer presented the report from the Facility and Urgent Needs Sub-Committee that were conducted with the help from various personnel. The Board adjourned the meeting at 12:44 p.m. The Board reconvened the meeting at 12:52 p.m. The Committee recommended that safety-related and time sensitive items warrant immediate attention. Dr. Hockenberry was charged with gathering related information and presenting proposals at the next meeting. A motion was made by Casey Lout, seconded by John Henry Holloway to approve the name of the Alternative Education Campus as Roughrider Academy. A motion was made by Traci Willoughby, seconded by Allison Johnson to amend the Cheerleader Constitution. Matthew Mettauer and Daphne LaRock abstained from voting. James Greer called for a closed session at 1:25 p.m. under Texas Government Code §551.071, §551.074 and §551.129 for consideration of employment of contracted personnel, terminate probationary contracts, contract renewals for Administrators, teachers and certified support staff, resignation/retirement and extended emergency sick leave. The Board returned into open session at 2:40 p.m. No action was taken in closed session. 11.1.1 There were no employment of contracted personnel to be considered. 11.1.2 There were no resignations/retirements to be presented. 11.1.3 There were no extended emergency sick leaves to be considered by the Board. A motion was made by Traci Willoughby, seconded by Matthew Mettauer to adjourn the meeting at 2:42 p.m.
Gary, the Tigers went toe-to-toe with a perennial baseball proud program. end of the game, Gary sprinted to an 11-1 win. The Tigers return home this Friday for a 4:30 tilt against Shelbyville. SATURDAY, MARCH 25, 2017 @ 6:30 P.M.
FRIDAY, MARCH 24, 2017 @ 5:00 P.M.
Harrison the Outstanding Coach Award in our class and region. voted on by regional coordinators and committees. Out of over 600 participants, two CHS students placed 69th (Lance Holloway, Left) and 80th (Kaden LaRock, right) at the Houston Livestock Show and Rodeo Chicken Show. They raised chickens for 6-weeks and spent countless hours making sure they were ready for the show - feeding, watering, walking, etc. They normally see them at least every two hours during the 6-week time frame. Only 100 of each set makes the sale, and these two students did just that! finishes with their season 26-9 and winners of 13 of their last 15 games. out of time on our special season.” He added. the ball game 27-16 with just under 11:00 minutes to go in the first half. Steady defense saw the momentum shift to Panola the rest of the half. play and four points on two separate occasions but could not get any closer. Leading the way offensively for Panola was Tope Arikawe with 19 points. 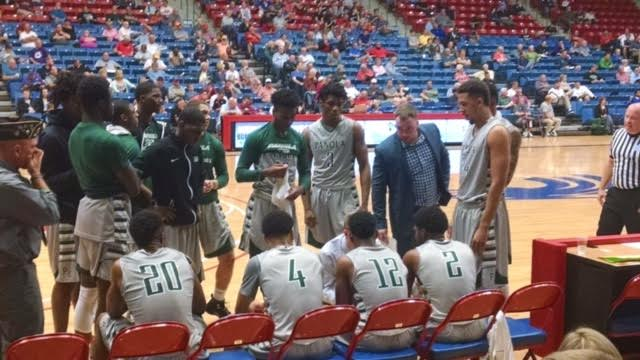 from the field but was outrebounded for the night, 46-32.
th overall seed, and advanced to the NJCAA national tournament round of 16. Depriest Field in a 4:30 PM start. 20th. This was an 8th Grade meet with a total of 10 teams participating. outstanding job. The results are listed below. Next week's meet will be held in Cushing on Wednesday, March 29th. The MS track team participated in the Mt. Enterprise track meet on March 20th. This was an 8th Grade meet with a total of 10 teams participating. The 7th graders had an opportunity to compete at this meet and did an outstanding job. The results are listed below. Next week’s meet will be held in Cushing on Wednesday, March 29th. Tues. March 21 – TISD Board of Trustees meeting in boardroom @ 6:30 p.m.
-------------------------- District One Act Play – Panola College @ 12:30 p.m.
-------------------------- Softball vs. Gary – Home @ 4:00 p.m.
-------------------------- Baseball vs. Joaquin – Home @ 6:00 p.m.
Wed. March 22 – THS district academic meet – SFASU @ 8:00 a.m.
Fri. March 24 – Softball vs. Douglass – Away @ 4:00 p.m.
------------------------ Baseball vs. Mt. Enterprise – There @ 6:00 p.m.
THS Project Graduation - The Timpson High School Senior Class of 2017 will be having Project Graduation on May 26th. This is an all-night event that is drug and alcohol free honoring the graduates. To make this event as successful as possible, we need donations from individuals like you. Any contribution of money, food, and prizes you would like to make would be greatly appreciated. 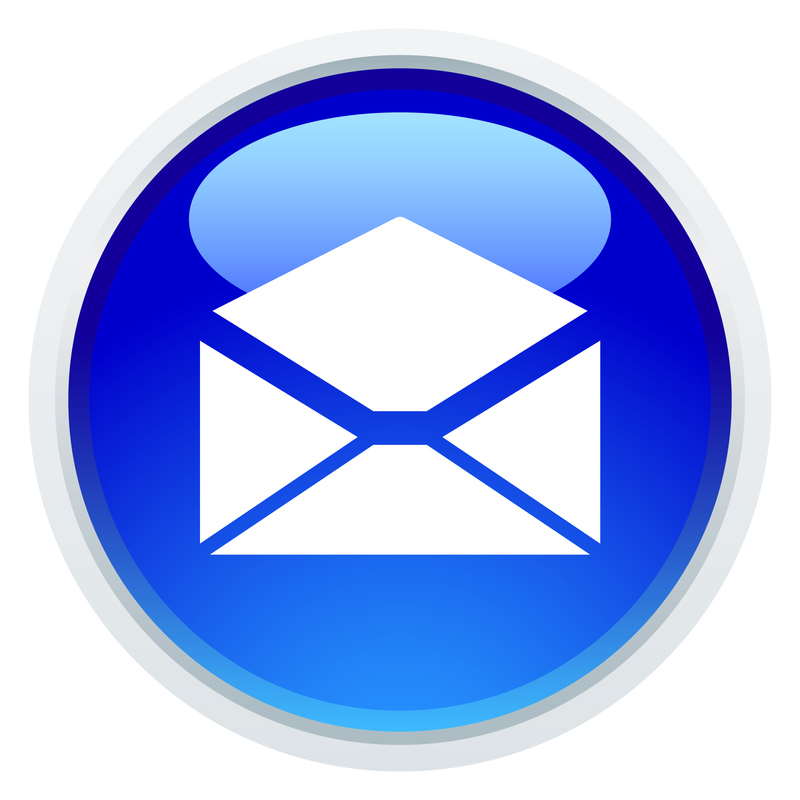 Please respond to this email with any questions or correspondence you may have to Danielle Smith at dsmith@timpsonisd.com. Thank you for your support of this important project designed to let students have fun with their classmates on the night after their graduation and keep the students safe. Allowed Just Four Hits And Struck Out CJ Vandre To End The Game. Innings, Giving Up Zero Runs, Four Hits, Striking Out Ten, And Walking One. Four Runs, Five Hits, And Striking Out Seven. - *"Powered By Narrative Science And GameChanger Media. Copyright 2017. BEGINNING THURSDAY, MARCH 2 THRU SATURDAY, MARCH 4.
all game long.” Head Coach Grant McMillan stated. double-digits and the 12 point victory. 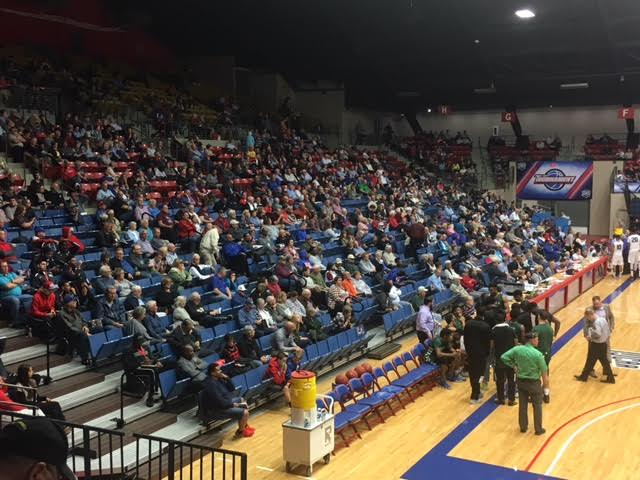 Hutchinson Sports Arena. The game is streamed live on NJCAA TV. Panola College Rodeo Team was back in action this last weekend in College Station for the 8th of 10 regular season rodeos. It was a great weekend for rodeo action and Panola athletes took full advantage of the indoor arena to display some spectacular abilities. Abby Phillips, a sophomore from Marshall, had a great weekend in the barrel racing. Abby and her horse Fame won 1st in the long go with a time of 16.01 seconds. The pair came back in the short go, to run a 16.04 for another 1st place finish. Abby dominated her event this weekend wining both goes and the average. Abby moved to second place in the Southern Region standings and improved her chances of qualifying for the CNFR in June. Jeffrey Collins, rodeo coach at Panola College, said a horse that can run with these horses in this region like that can run with any of the top horses in the world. 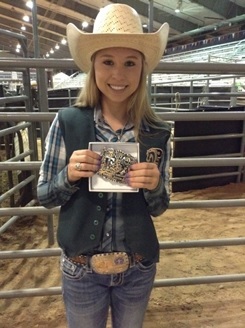 Abby not only has a great shot at a national title for us here but has a great shot of making the NFR. Abby is a dedicated athlete who works very hard we will hear more about her in the near future. Logan Cook, freshman in the ranch and land management program, had something to say in the Saddle Bronc riding. Logan scored a 79 point ride on his first horse to win 1st place in the long go. The horse he rode was #12Golden Ticket, the horse has won many titles in the pro rodeo world and was very rank and hard to ride. Cook came back in the short round with another 1st place win with a 76 point ride. Logan moved to second place in the Southern Region standings as did Abby and has almost secured himself a trip to CNFR. 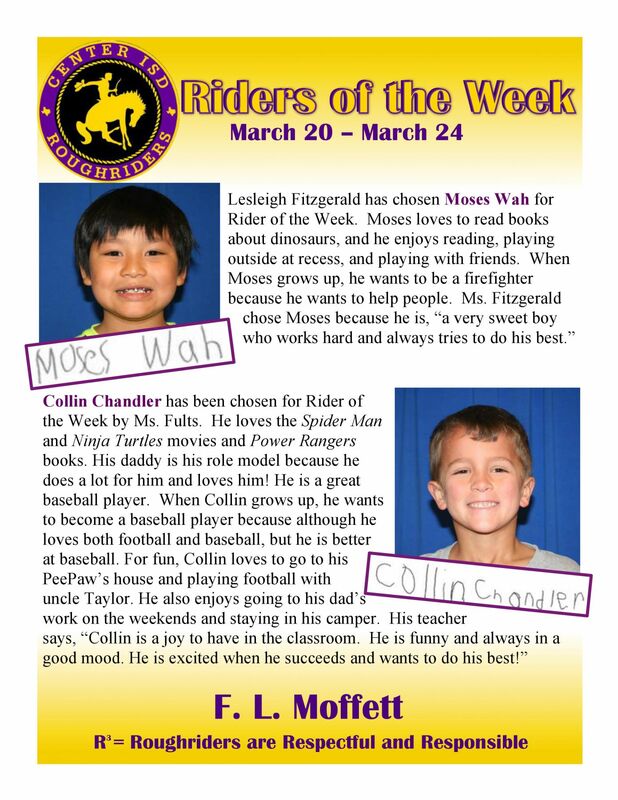 Logan is another young man we will hear a lot about in the near future. Petroleum Technologies. 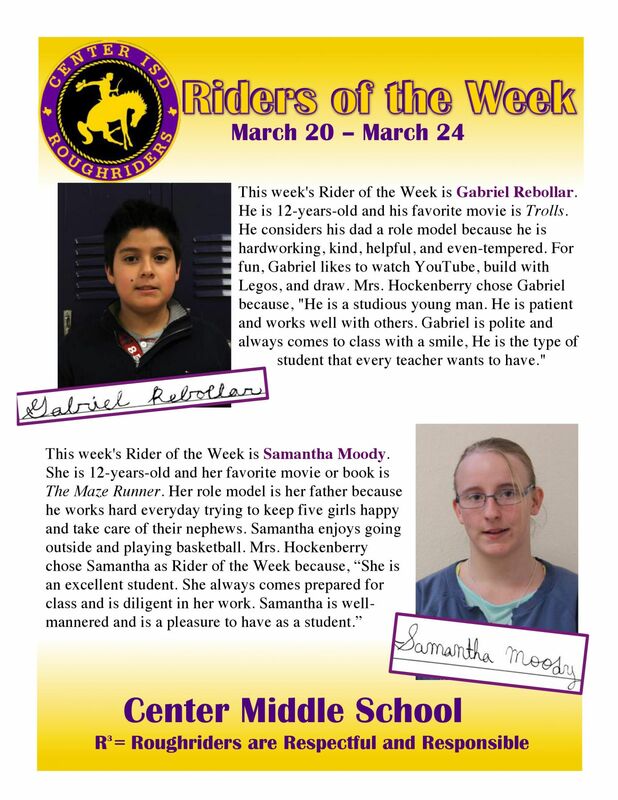 Caleb plans to continue to rodeo while he also pursues a career in his field of studies. The Team roping duo of Laramie and Colton Johnson, twins from Shreveport, where in fine form this weekend. The pair posted a first round time of 7.6 seconds. The time was fast enough for a 4th place finish in the long go. They came back to the short go and won another 4th place spot. The pair held on to 4th in the average as well. The season will come down to the last two rodeos, Laramie and Colton are in the 9th place spot, but have enough room to still qualify for the CNFR. Steer Wrestler, Caleb Cogbill , had a great run in the long go posting a 5.4 second run good enough to place 6th in the long go. Caleb is a sophomore that will be graduating this year with a degree in. The combined efforts of each team for the weekend found the women’s team in 2nd place and the men’s team in 4th place. Both teams held their spot at 4th place overall in the region. The rodeo team will participate again this weekend on March 23-25 at Hillsboro, TX. pushes their winning streak to 12 games. Panola came out on fire taking a 20-10 lead 8:00 minutes into the game. held on the rest of the way to take a 17 victory. campus of the former Lon Morris College. Shelbyville Athletic Booster Meeting Monday, March 27th at 6:00 pm in the elementary building, room 103. The Center boys baseball team lost to Carthage Bulldogs last Friday 0 -1. The Timpson Bears baseball team lost to the Woden Eagles 0 -22. Joaquin baseball team butted heads with the Shelbyville Dragons and came out on top final score Joaquin 3, Shelbyville 1. There baseball team was obliterated 1-19 last Friday when they took on Colmesneil. 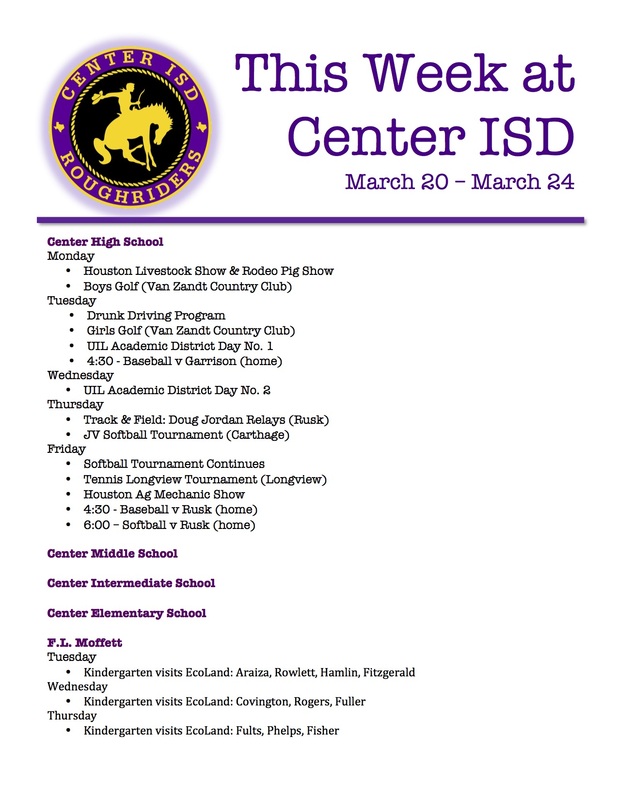 The Center Roughriders baseball team has an away game at rival school Carthage Bulldogs on Friday, March 17th at 7 pm. The Timpson Bears baseball team has a home game vs. Woden Eagles on Friday at 6 pm. The Joaquin Rams baseball team has a home game vs. rival school Shelbyville Dragons on Friday at 6 pm. The San Augustine Wolves baseball team has a home game vs. Colmesneil Bulldogs today at 6 pm. The San Augustine Wolves baseball team has a home game vs. Colmesneil Bulldogs tomorrow at 6 pm. The Center Roughriders baseball team lost Tuesday's home game against Henderson Lions by a score of 9-4. The Timpson Bears baseball team lost Tuesday's away game against Shelbyville by a score of 3-1. The Joaquin Rams baseball team won Tuesday's away conference game against Gary Bobcats by a score of 8-2. The Grapeland Sandies basketball team lost Friday's neutral playoff game against Muenster in overtime by a score of 56-52. The exhibition “Andy Warhol: Art Is Anything You Can Get Away With,” showing in The Cole Art Center @ The Old Opera House, will close with an open house from 1 to 5 p.m. Saturday, March 25. The exhibition features a small slice of the renowned artist’s enormous oeuvre, in particular, his “Silver Clouds” – helium-filled silver clouds that drift in the air. The exhibition also includes three of his large screen prints and several of his Polaroid photos. 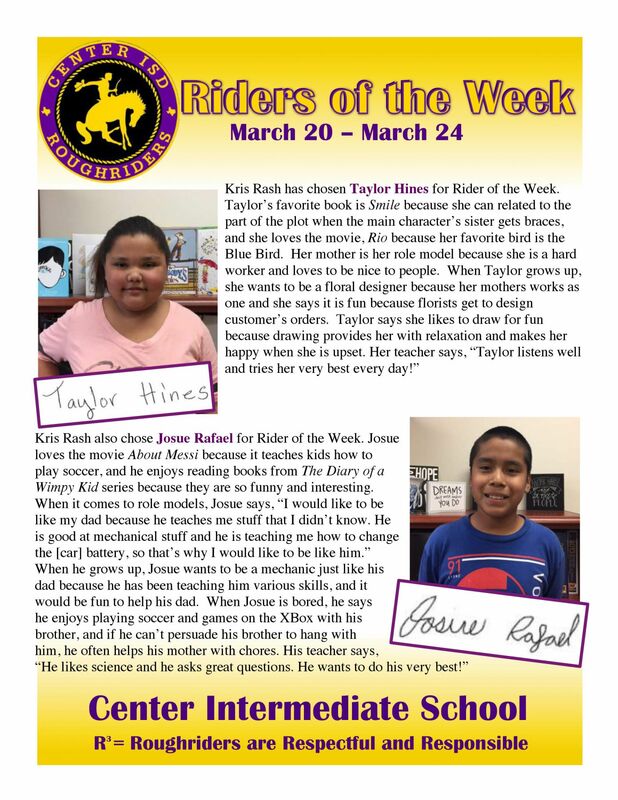 Winners received a large pizza and a "I Got Caught Showing My Rider Pride"
grader, for showing the most Rider Pride in the contest. 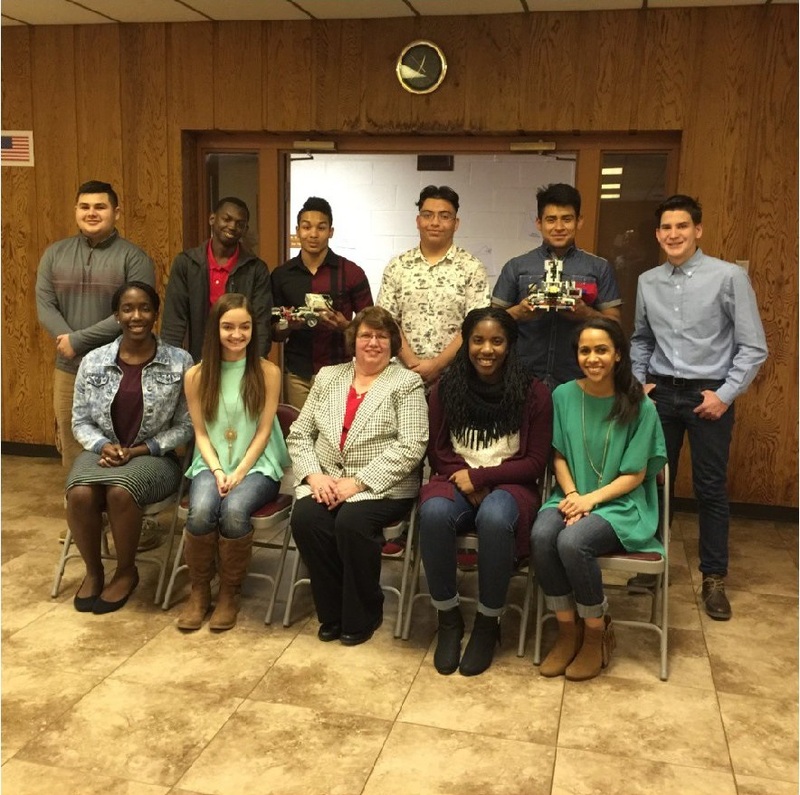 The Tenaha High School Robotics teams and their coach, Brenda Farmer, were featured at the Tenaha Businessmen’s Meeting today. The students showed off a few of the robots while Mrs. Farmer explained how the Robotics competitions work. Each team is responsible for building and programming their robot according to the competition regulations. The teams compete against schools of all classifications. This year’s team is headed to state in May! The Center Roughriders baseball team has a tournament game vs. Rains Wildcats today at 2:30 p.m. in Emory, TX. The Timpson Bears baseball team has a home game vs. Carlisle Indians today at 6 p.m. The Timpson Bears softball team has a home game vs. Mt. Enterprise today at 4 p.m. The Shelbyville Dragons baseball team has a home game vs. Timpson on Tuesday, March 14th at 6 p.m. The Shelbyville Dragons softball team has a home game vs. West Sabine today at 6 p.m. 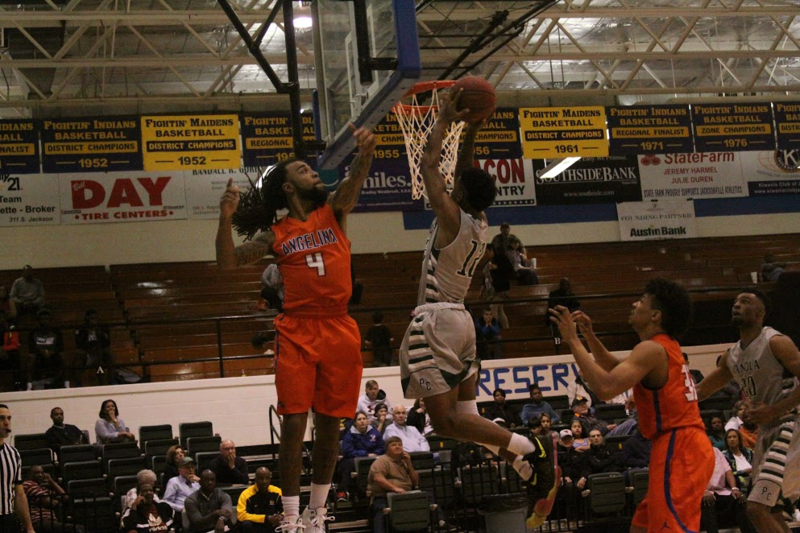 The Panola College men’s basketball team defeated Paris Junior College last night 81-64. 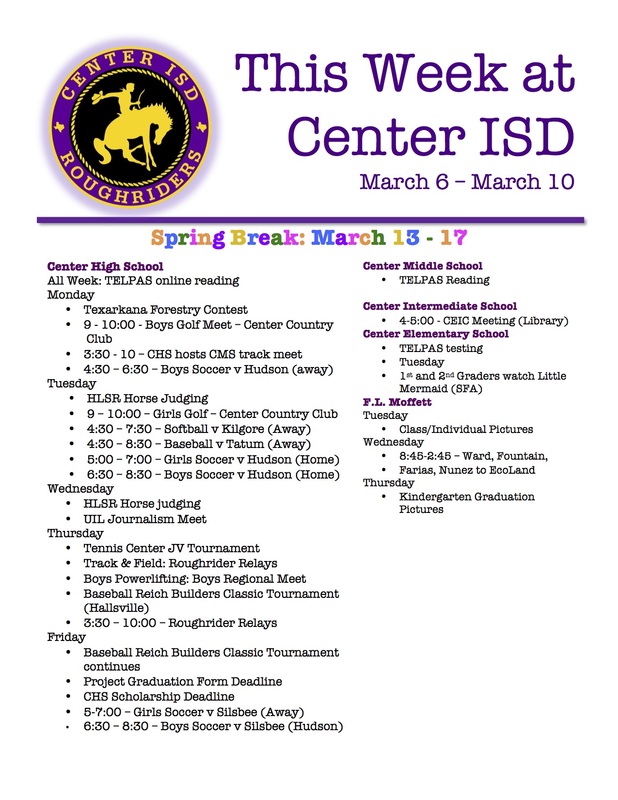 Spring Break – Timpson ISD will be on Spring Break next week March 13 – 17. School will resume at normal time Monday, March 20. School will release at regular time Friday, March 10. Notice is hereby given of a drawing to determine the order in which the names of candidates are to be printed on the ballot for the election to be held on May 6, 2017 in Joaquin, Texas. The drawing will be held at 10 a.m. on, March 13, 2017 at Joaquin City Hall , 124 N. Preston , Joaquin, Texas. addition to* all qualifying rebates. and earn money for CHS! The Center Roughriders baseball team have a tournament game vs. Gilmer Buckeyes today at 4:45 p.m. The Timpson Bears baseball team has a home game vs. Carlisle Indians on Friday, March 10 at 6 p.m. The Timpson Bears softball team has a home game vs. Mt. Enterprise on Friday, March 10 at 4 p.m. The Joaquin Rams baseball team has an away game at Beckville on Friday, March 10 at 6:30 p.m. The Shelbyville Dragons softball team has a home game vs. Martinsville today at 5 p.m.
couldn't be more proud of this team". were able to leave it all on the floor. pull away at the end of the third up 49-56.
later, the Rangers went to the line and were able to pull off the win. with 12 rebounds on the night. their amazing 23-8 run, they were all #1PCFamily. Dr. Deb Scott, professor of trombone at Stephen F. Austin State University, will release a newly recorded CD during a recital and reception Friday, March 24, at Christ Episcopal Church. “Playing Favorites” features Scott on trombone, accompanied by Dr. Ron Petti, director of accompanying for the SFA School of Music, on piano. The mini recital will be at 6 p.m. in the church sanctuary followed by a reception at 6:30 p.m. in the parish hall with refreshments provided by Newk’s Eatery. Admission is free. Christ Episcopal Church is located at 1430 N. Mound St.
For more information, call the SFA Fine Arts Box Office at (936) 468-6407 or (888) 240-ARTS or visit www.finearts.sfasu.edu. The SFA College of Fine Arts and School of Music will present Otto Nicolai’s opera “The Merry Wives of Windsor” at 7:30 p.m. Thursday through Saturday, March 30 through April 1, in W.M. Turner Auditorium on the SFA campus. Based on the play by William Shakespeare, this opera combines a portly, lecherous old knight, two merry wives, one jealous husband, two young lovers, farce, trickery and revenge into a Shakespearean romp not to be missed. Tickets are $15 for adults, $10 for seniors and $7.50 for students and youth. For tickets or more information, call the SFA Fine Arts Box Office at (936) 468-6407 or (888) 240-ARTS or visit www.finearts.sfasu.edu. March 9, 2017-HS Track-Garrison Relays; TELPAS Gr 5; Baseball @ Mt. The Center Roughrider Baseball team defeated the Tatum Eagles last night 4-0. The Ladyrider Softball team crushed Killgore 7-1 yesterday. 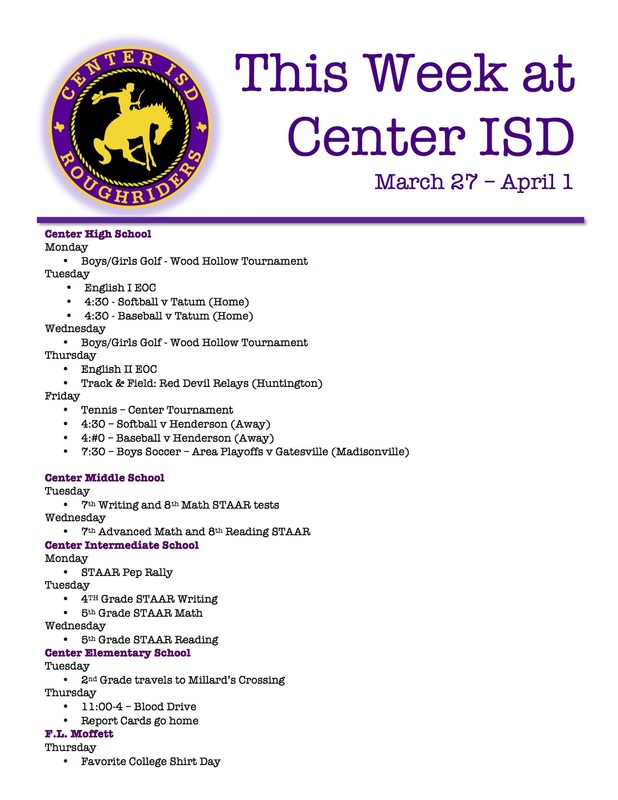 Roughrider Relays this Thursday 3:30 - 10 p.m at Center High School. This Friday Timpson Lady Bears Softball team will have a home game vs. Mt. Enterprise at 5:00 p.m.
Timpson will compete in the Varsity Bulldog Track Relay in Garrison this Thursday. The Tenaha Tigers Baseball team have an away game in Mt. Enterprise tonight at 6:30 pm. Yesterday's Baseball and Softball games were called because of rain. 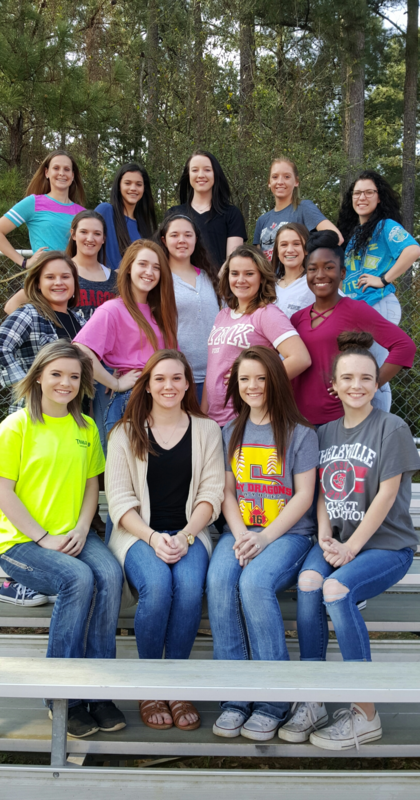 The Joaquin Rams baseball team has an away game at Beckville on Friday, March 10th at 6:30 p.m.
Desere Cooper qualified for the State Power lifting Meet to be held on Saturday, March 18th in Waco, Texas. At the Regional Meet her lifts totaled 910 pounds, placing her first in the region. Yesterday's softball game was cancelled due to rain. The Shelbyville Dragons softball team will have a home game vs. West Sabine on Friday, March 10th at 6 p.m.
Desere Cooper qualified for the State Power lifting Meet to be held on Saturday, March 18th in Waco, Texas. At the Regional Meet her lifts totaled 910 pounds, placing her first in the region. Congratulations Desere and Good Luck! RAMS CANCEL BASEBALL AND SOFTBALL GAMES TODAY! The Lady Rams Softball game scheduled for today (03/07/17) has been cancelled. It will be rescheduled for a later date. The Joaquin Ram baseball game scheduled for today has been cancelled as well. The Tenaha Tigers baseball team has an away game @ Mt. Enterprise today @ 6p. The Timpson Bears softball team has an away game @ Cushing today @ 5p. The Timpson Bears baseball team has a home game vs. Gary today @ 6p. The Joaquin Rams baseball team has a home game vs. Martinsville today @ 6p. The Shelbyville Dragons softball team has an away game @ Martinsville today @ 5p. The Lady Dragon Powerlifting team competed In the Regional Powerlifting Meet March 4, 2017 in Fairfield, TX. The girls placed Fourth overall as a team. Also qualifying for State: Steff Moore, Jaiden Rose and Breanna Jackson. Geraniums (12" deco pots - fancier than the black plastic).